It is celebration time again for Welsh construction! Once again Welsh architects, designers, engineers, builders and leaders stole the glory at the national Constructing Excellence awards (held on Friday evening, 15th November) and walked away with three of the 14 awards available. It proves what we have known for a long time – Wales is an exemplar construction industry in its own right. Remind yourself what makes Welsh construction a UK leader. 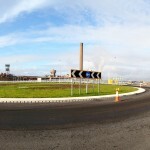 The first Welsh winner of the evening for the CE Award for Integration and Collaborative Working 2013 went to Harbour Way , the final section of the Port Talbot peripheral distributor road. Just a look at the statistics indicates the degree of integration and collaboration required to make this project succeed. Costain was appointed lead contractor and with an overall value of £107m, this is the largest transport project for Wales since the building of the M4 motorway. It is technically complex project requiring close liaison with multiple stakeholders including Tata Steel, Network Rail and client Neath Port Talbot County Borough Council (NPTCBC), design consultants Arup and key supply-chain partners achieved a remarkable degree of integration. But despite the scale, the focus was always upon doing it right and maximising benefits to the community as well as the key stakeholders. This was followed by the £9.3 million Ysgol Yr Hendre school project for Gwynedd County Council who won the CE Value Award securing the same prize at the CEW 2013 Awards in July. Aside from being a stunning architectural concept and well executed build it illustrates the commitment in Wales of delivering value to the local community. The same commitment, passion and belief in the pursuit of best practice and collaborative working was rewarded to Vince Hanly, Service Director for Rhondda Cynon Taf County Borough Council, with the National CE Achiever Award. The judges recognised the same qualities as people in Wales and Rhondda have witnessed. 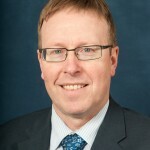 His energy and drive has seen major projects like the Porth Relief Road and Church Village Bypass succeed and his association with concepts such as 21st Century Schools and the Construction Procurement Steering Group (set up by the Finance Minister and Leader of the House Jane Hutt) have made a significant difference to how construction is procured in Wales. Wales prides itself on doing things differently. It might be rugby, the Eisteddfod or it might be just a passion for the spoken word – but whatever it is, Welsh construction is no exception – there is a particular Welsh way of achieving excellence. Hwyl comes close as a definition. 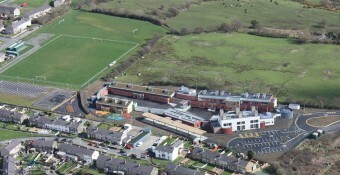 Indeed, there is an abundant supply of passion and commitment in Welsh construction and it is what drives us to succeed in delivering not just landmark projects like Harbour Way in Neath, but providing outstanding community benefits right across Wales in all sorts of schemes – ranging from schools such as at Ysgol Yr Hendre to Taf Ely Learning Campus in Nantgarw. That passion extends beyond construction too. Because our industry is so closely connected to society we know, perhaps better than many other economic sectors what the problems are faced by our communities. So it was fantastic to see that as we celebrated what was great about our industry on Friday guests still raised over £2,000 for BBC Children in Need. It is this attitude that makes Welsh construction stand out. We have a consistent belief and passion about best practice and we have the projects that bear testimony to it as well. Rewards are a measure of Welsh construction success, but we know from anecdotal feedback and the Exemplar, Demonstration Programmes and CEW Clubs that the commitment is running through our industry like a golden thread. Well done to everyone. Download here more detailed case studies of the successful welsh winners at the CE Awards 2013.